NEW YORK, NY (September 19, 2017) – Crenshaw Communications Inc., a public relations and content agency serving consumer and technology clients all over the globe, has named Chris Harihar, Technology Practice Director, as company partner. 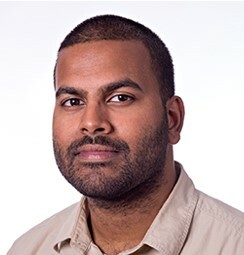 Harihar joined Crenshaw in 2012 as Account Supervisor. He manages a diverse group of accounts ranging from startups to established media and technology brands across categories including adtech, marketing technology, security, ecommerce, IoT, artificial intelligence, and SaaS. As an agency partner he will continue to manage high-profile programs for B2B technology clients while supporting Crenshaw’s own brand marketing in the tech sector. Harihar previously held positions at M Booth and Morris + King. He earned a Masters in Communications from the University of Washington before starting his public relations career.